On Broad Street, across from the Pickering House (the oldest house in Salem), is the Broad Street Cemetery. 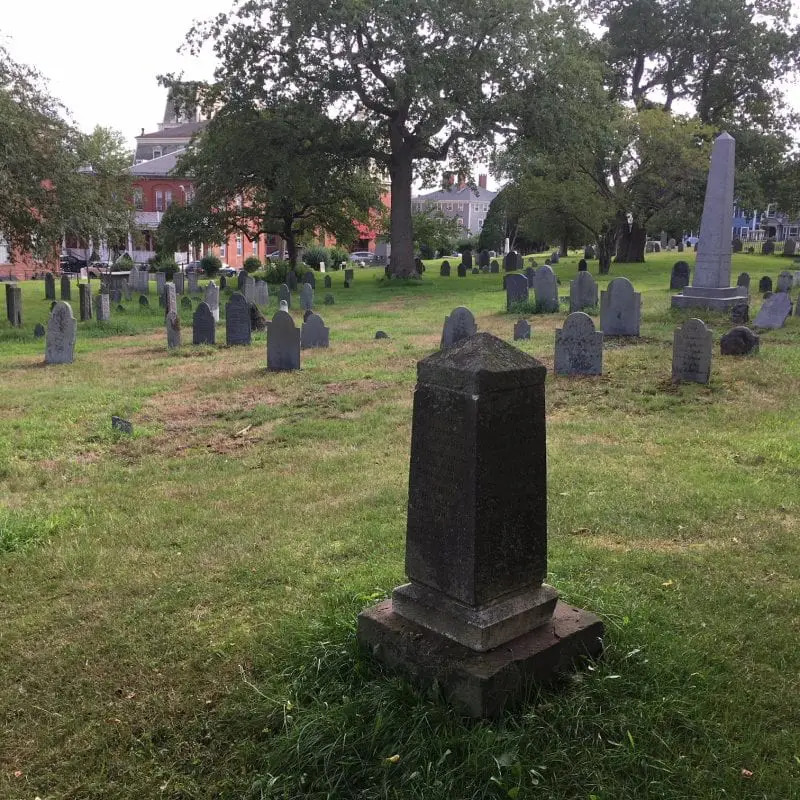 Opened in 1655, making it the second oldest cemetery in town, it is the final resting place of both Judge Jonathan Corwin and his nephew George Corwin, who was the High Sheriff during the witchcraft trials. 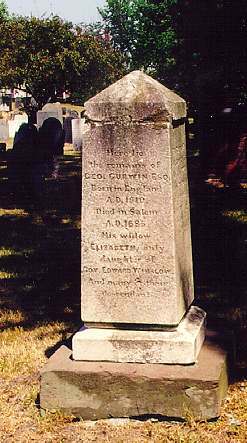 Judge Corwin died in 1718 at the age of 78 and Sheriff Corwin died in 1696 at the age of 30. 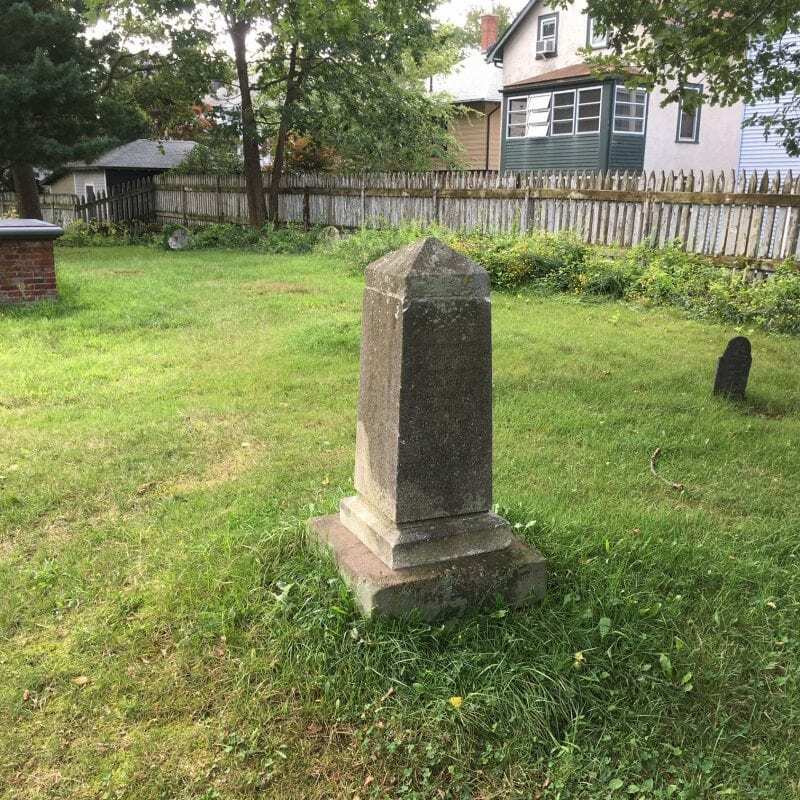 Both are in the Corwin plot marked by a small, off-white obelisk. Looking from Broad Street, this can be found just right of the center of the cemetery, near the back fence. It is interesting to note, what remains of readable text on the obelisk shows the spelling of the family name as Curwin. Some descendants who remained in Salem after the witch trials changed the spelling of their last names in the 18th Century. Alternate spellings for Corwin were Curwin and Curwen. Located on Broad Street, between Winthrop and Summer Streets. Open to the public until dusk each day.